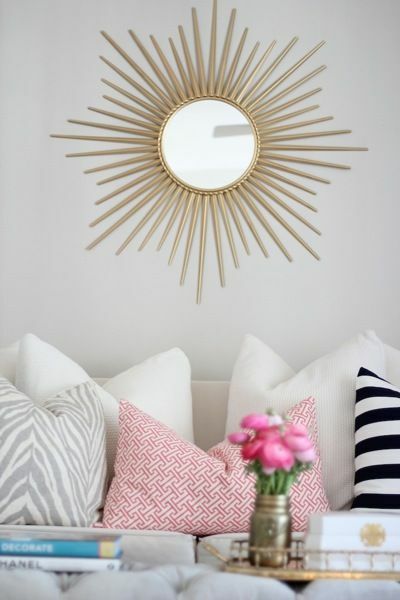 I’m back today with another Home Decor post….and we are talking about the Iconic Sunburst Mirrors and Tips to decorate your space using them. 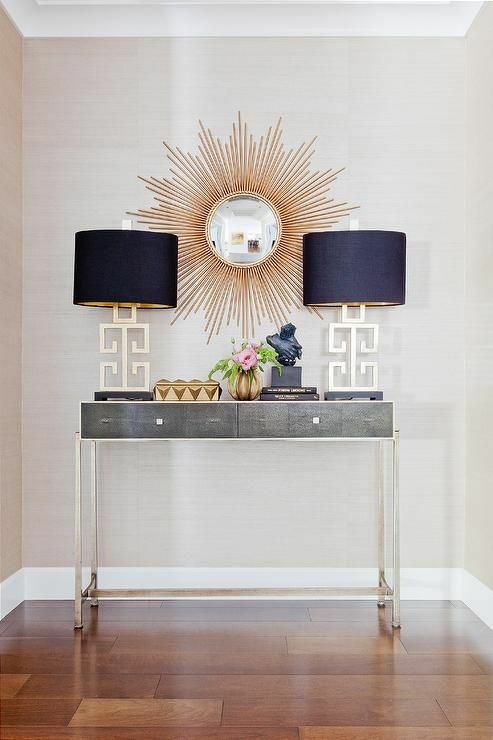 Sunburst Mirrors date back to the 17th Century and legend has it that Louis XIV, who was also popular as the “Sun King”, would stare into a sunburst mirror every morning because he fancied looking at his face in the center of the sun’s rays! 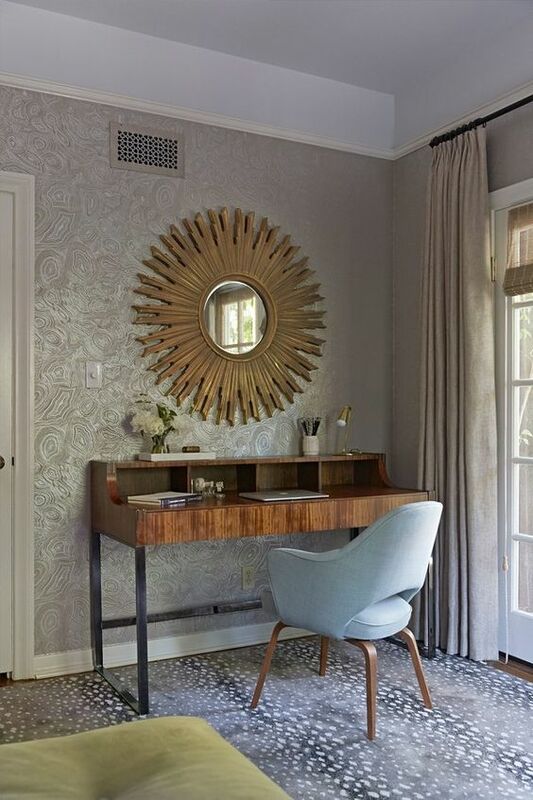 This style of mirror has made a huge comeback and for good reason – they’re not just gorgeous pieces of Home Decor, but also really easy and fun to incorporate into any kind of space really! 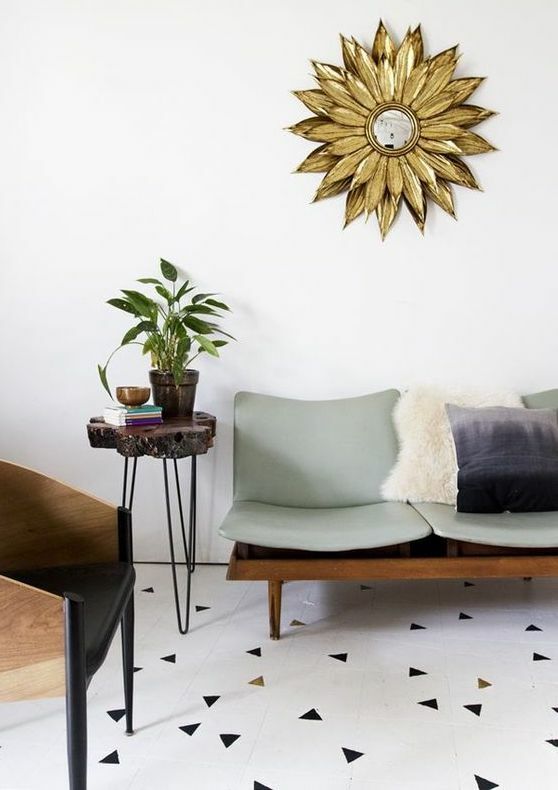 I think it is their versatility that makes it so easy for it to complement all styles of home decor – be that contemporary or traditional, modern or vintage. Now I agree that they might look a little intimidating at first glance, but trust me they are very easy to work with. 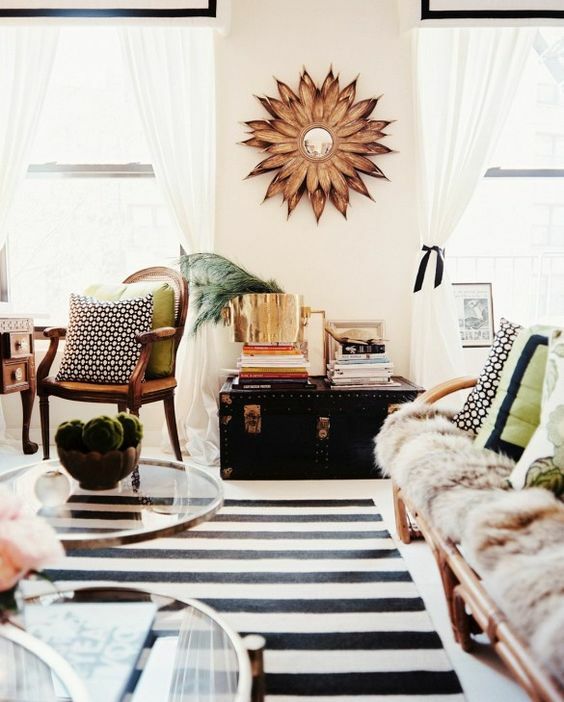 All you have to do is keep an open mind and consider all styles available before you invest in them. 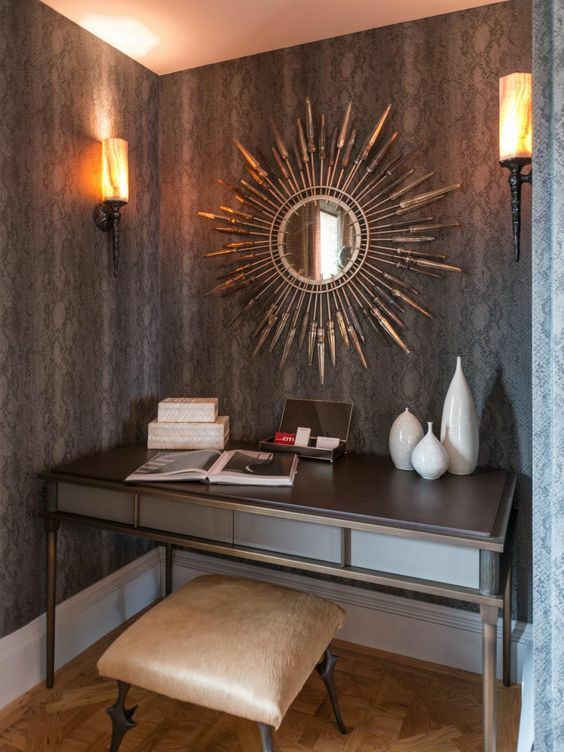 A Sunburst mirror not only adds sunshine and warmth to a place, but also creates a focal point, pulling attention to that space. 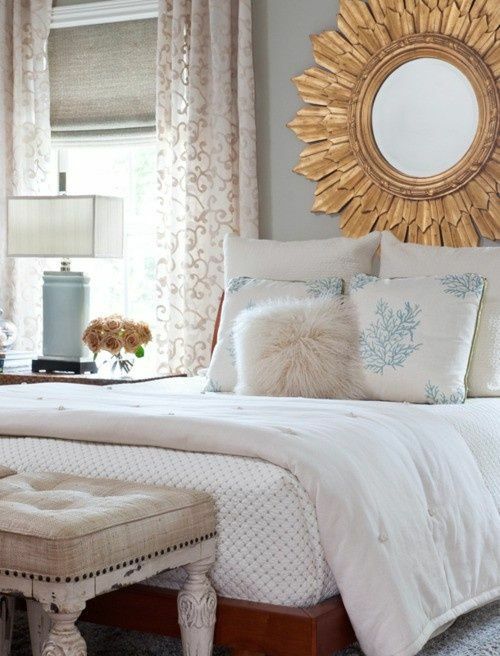 I personally LOOOOVE decorating using mirrors because they add visual interest, shimmer and depth to a room. So let’s look at a few tips and tricks to play around with this trend. 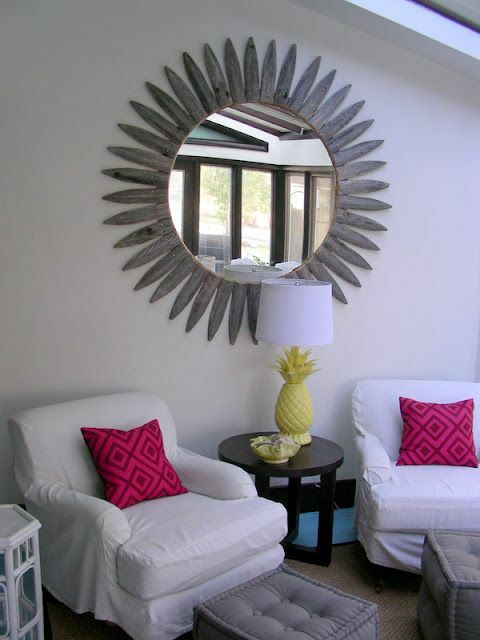 Like I said before, a sunburst mirror will pull attention and be the focal-point….so why not start with that. 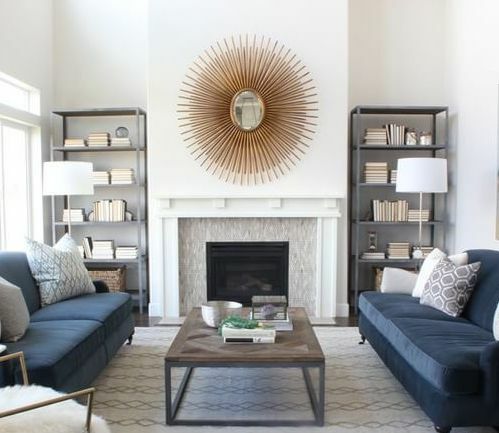 Let’s talk about decorating your Living Room space first – try and use sunburst mirrors to add radiance and light to the room. 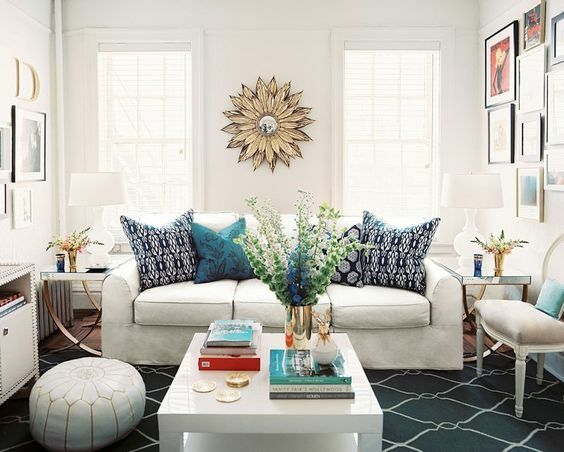 This will help in making the space look brighter and more lively. For example placing it as the Statement Centerpiece like in these pictures below. 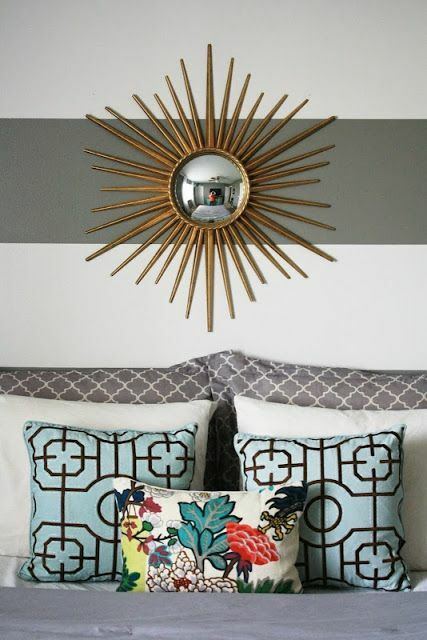 Now the same concept of using a Sunburst Mirror as the Statement Centerpiece can be applied to your Bedroom. Take a look at How! …and your Office as well or your Study! 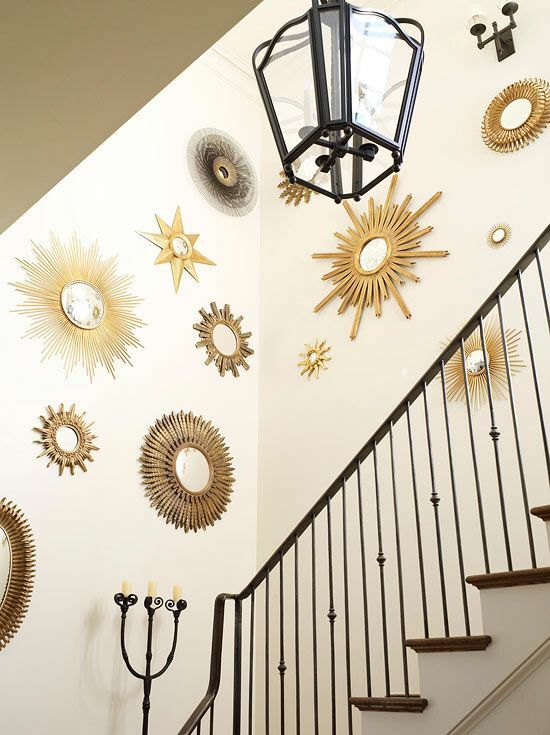 Sunburst Mirrors look incredible when placed in Groups. 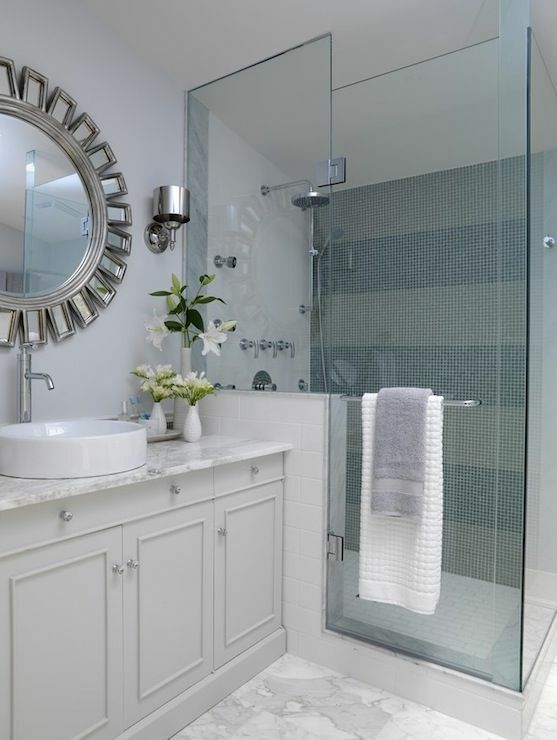 The only thing to keep in mind when doing this is how Big or Small the Space is as well as the Size of the Mirrors you are using. 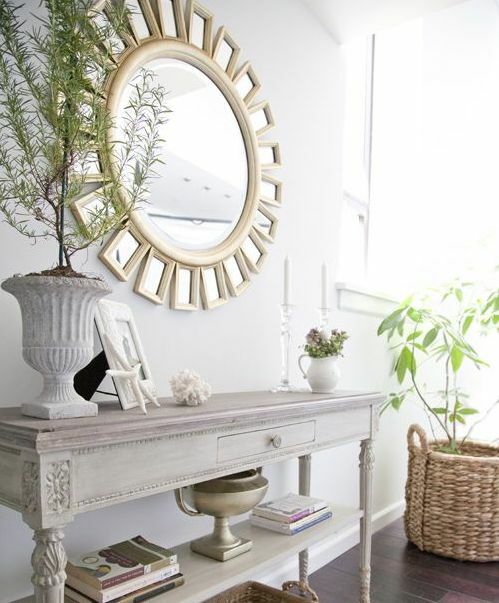 If you are working in a small space – use small mirrors – in groups of three. 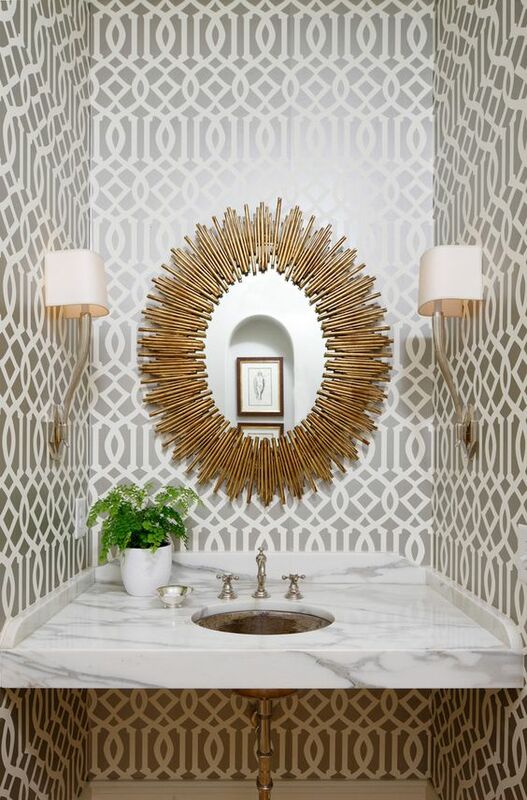 If you are decorating a large space, you can either make the grouping larger or use larger sized mirrors. 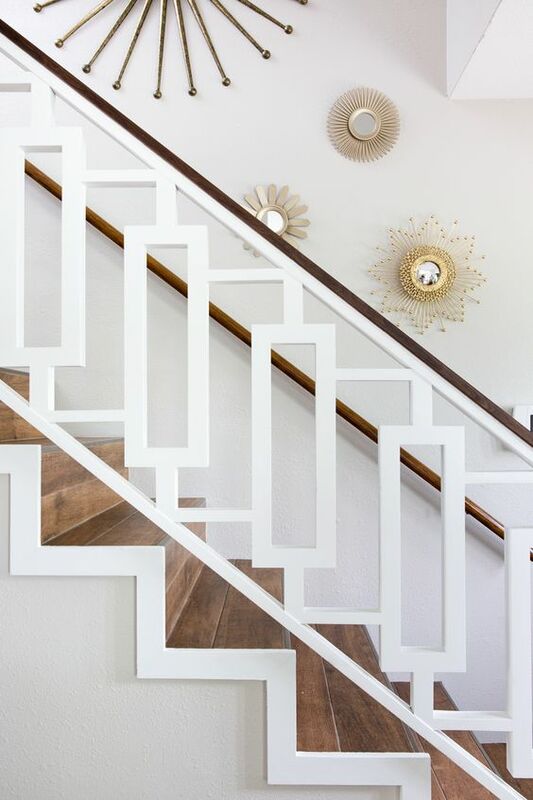 Groupings also work beautifully for Staircases – be that the landing or the area right below where your staircase goes up. 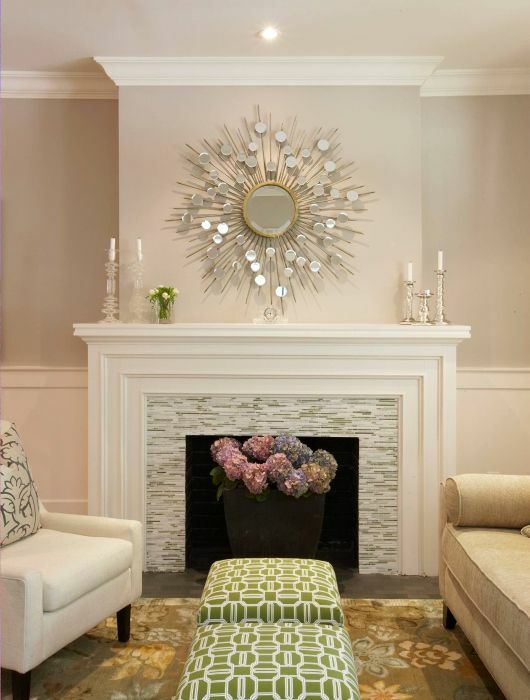 Who doesn’t love an accent piece?! 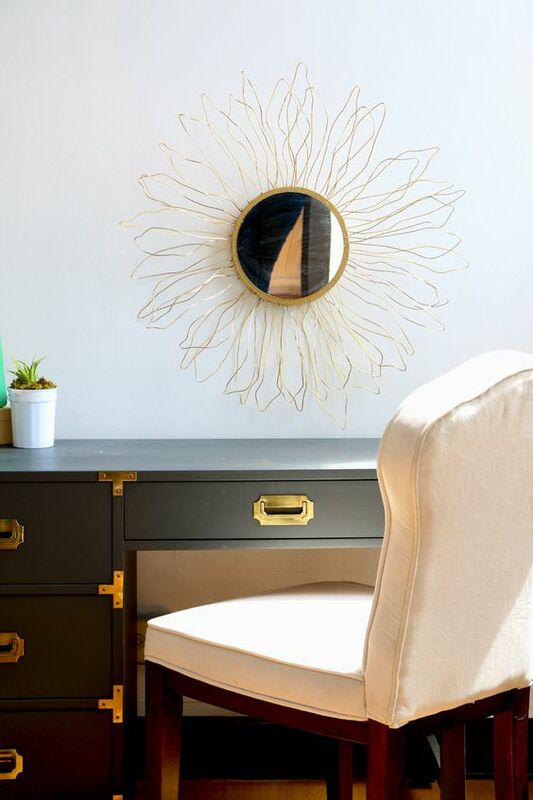 I love a beautiful Sunburst Mirror can directs your eyes to even a corner of the room and almost make it look like the most grand part of that room. For example here in this picture below. 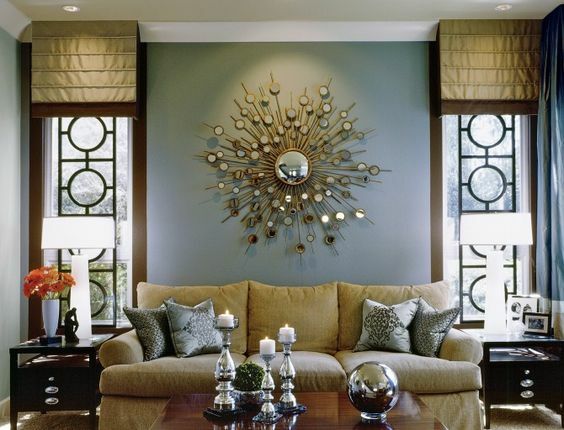 You can also use the same trick to attract the eye towards any sitting area in the corner of your rooms. ….even better when placed as Groups! 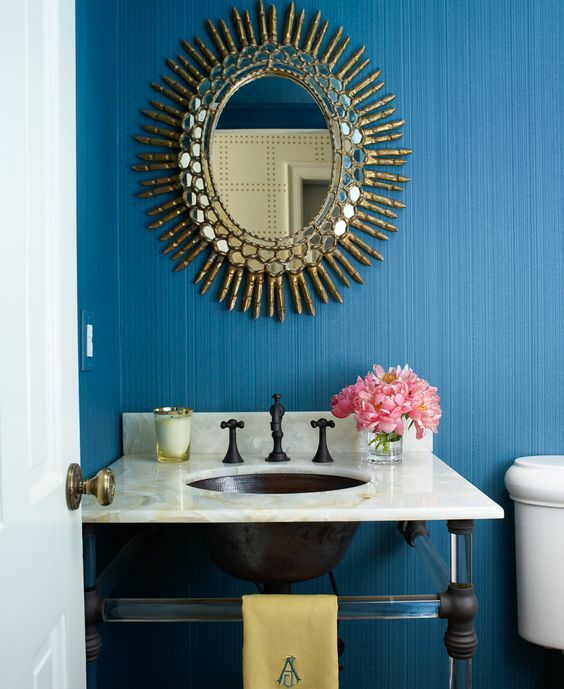 Sunburst Mirrors can do wonders when it comes to adding visual interest – be that to your Entryway or even a small Powder-room/Bathroom! 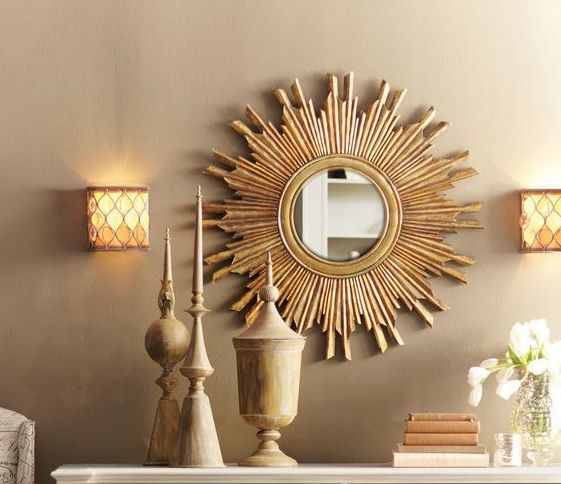 When added to an Entryway, its unique shape and the fact that it will reflect not only light, but also the beautiful outdoors, makes the sunburst mirror the perfect accessory! 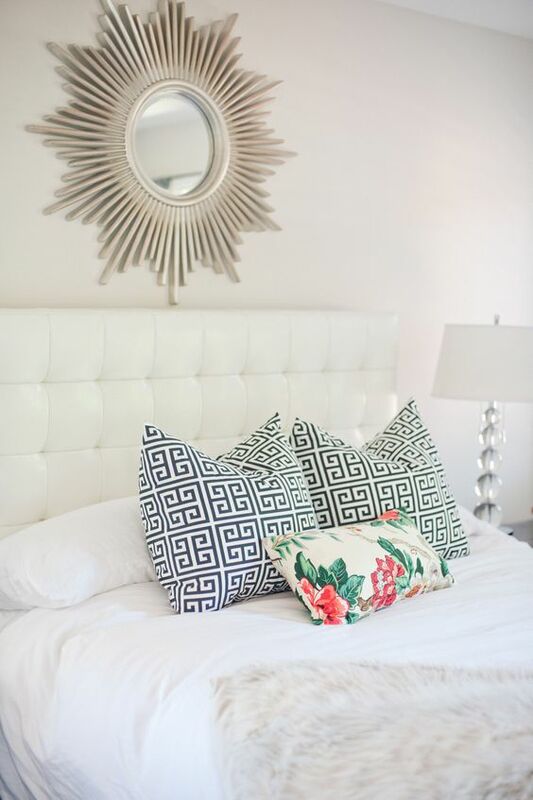 I hope I have simplified this trend a little bit for you and I hope this encourages you to take on this trend and decorate your space to make it more lively and radiant! 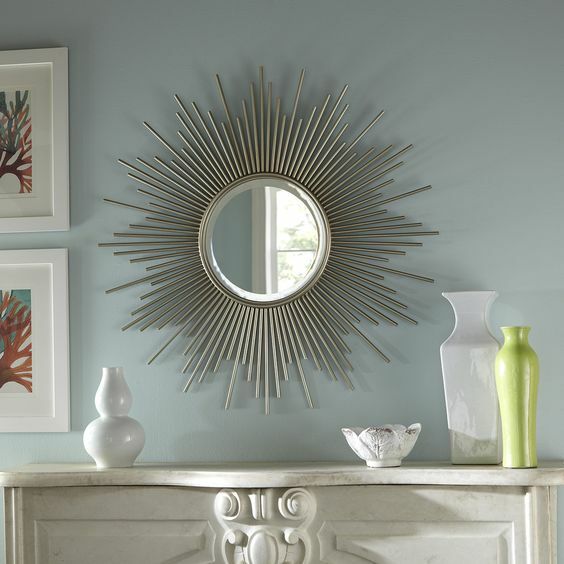 The Sunburst Mirror trend is all about style and functionality…and there’s no doubt why it has captured so many hearts! 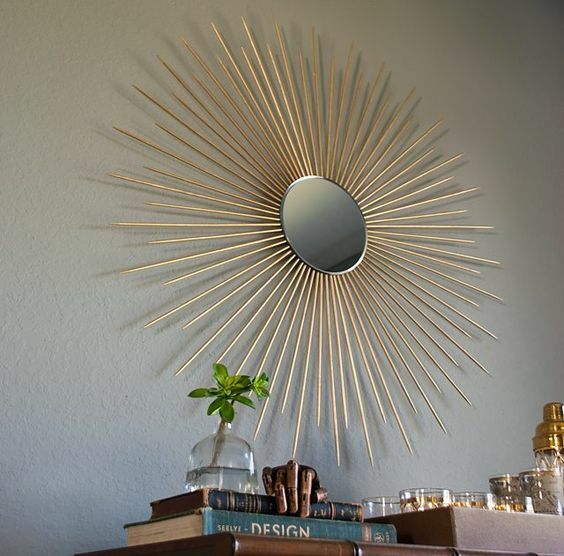 Before I end, if you live in India and are wondering where to BUY Sunburst Mirrors Online in India, I have you covered my lovelies…I’ve listed tons of options below for you!